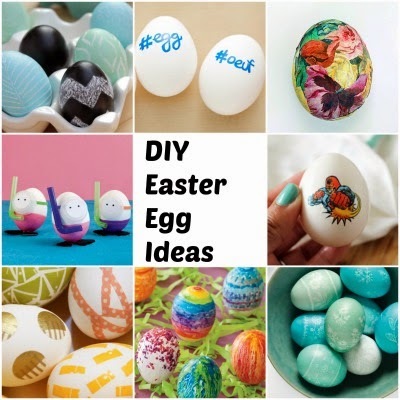 Easter weekend is upon us, and for those that are celebrating with kids, or just like to craft in general, here are some fun, unique egg decorating ideas from around the web. The hashtag one is my personal favorite! Hashtag eggs via Brit & Co.
Tattoo eggs via Brit & Co.
PS: DIY pumpkin decorating ideas from Halloween that could inspire you! I love decorating eggs, no matter how old I get!! I love the melted crayon eggs!